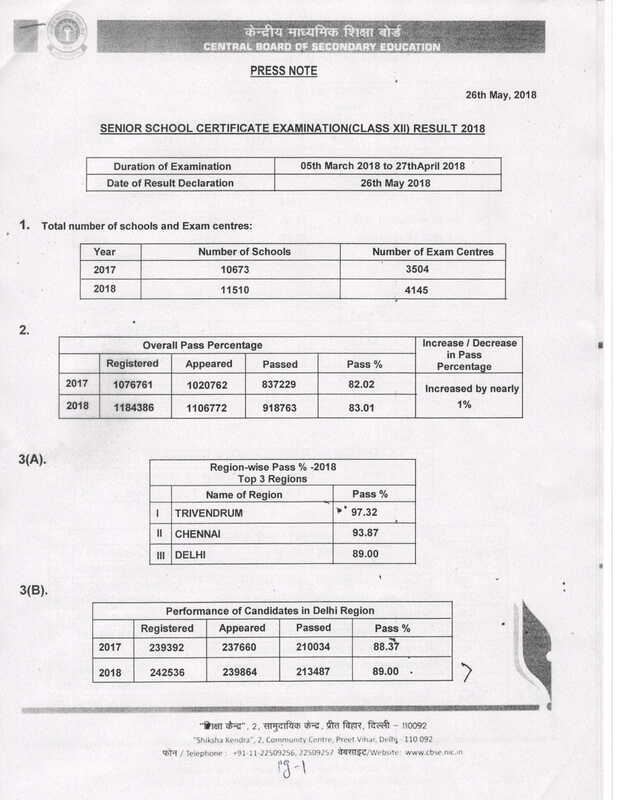 Top three regions are Trivandrum (97.32 percent), Chennai (93.87 percent) and Delhi (89 percent). 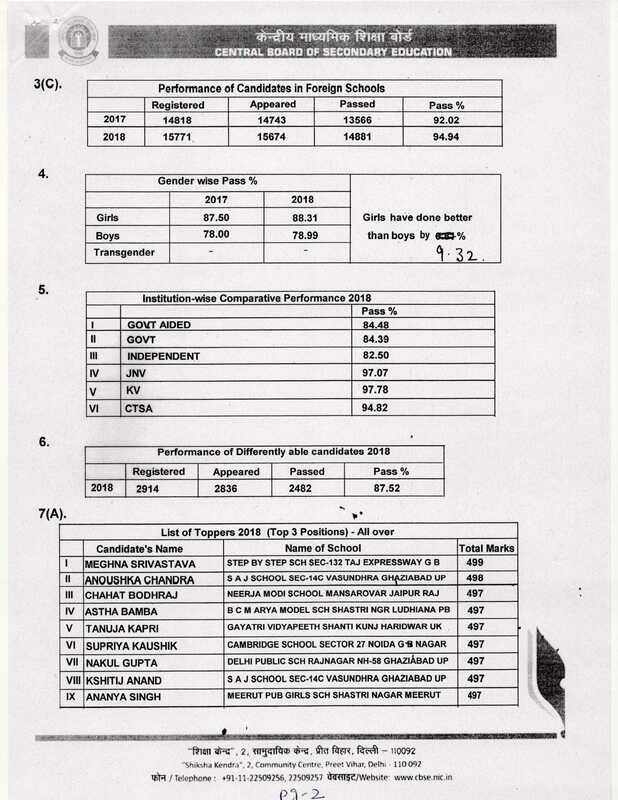 Meghna Srivastava tops with 499 marks out of 500. 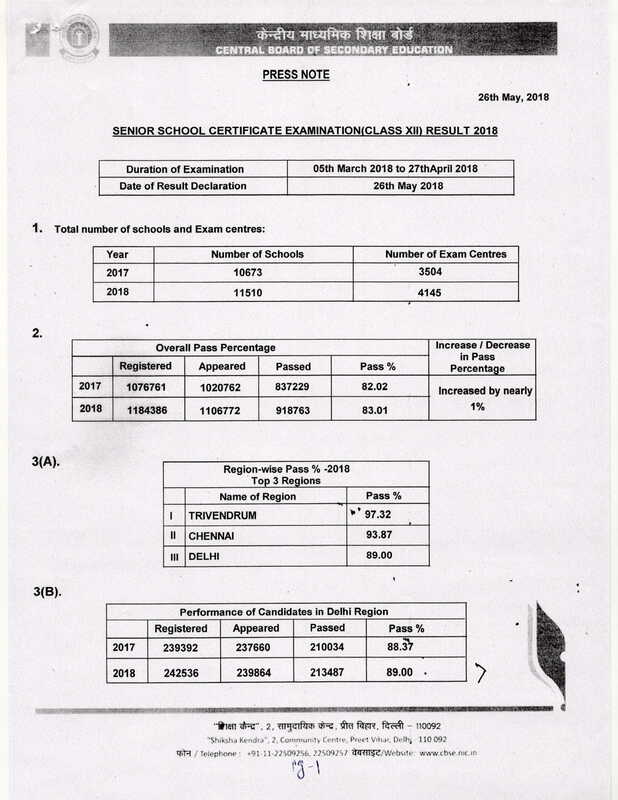 Source - Central Board of Secondary Education.